Easy to collect the keys and access the apartment - host allowed us to arrive and depart outside normal access hours. The apartment was lovely! Location was nice and we had a fabulous seaview from all rooms. We were close to amenities and restaurants but not too close to the busiest part of the beach for it to be a problem. Lovely playground for the kids a short walk away (5-10 minutes). Excellent location just near the main promenade. Clean, well equipped and quiet apartments with Smart TV. Two air-conditioning units are enough to make the temperature inside really warm in winter. Apartman is very basic but clean. The nearby restaurants, the wheels and go carhire place are very friendly, a small supermarket is just 2 min by walk. Easy to reach the airport and highway. The flat is very nice and clean, easy to check in, signs are on the building wich helps, location od Good, very close to the Center, it is quiet nad comfortable. Great location, reasonable pricing, 15 minutes walk from the center. The apartman can be reached easily from the Airport by public transportation. 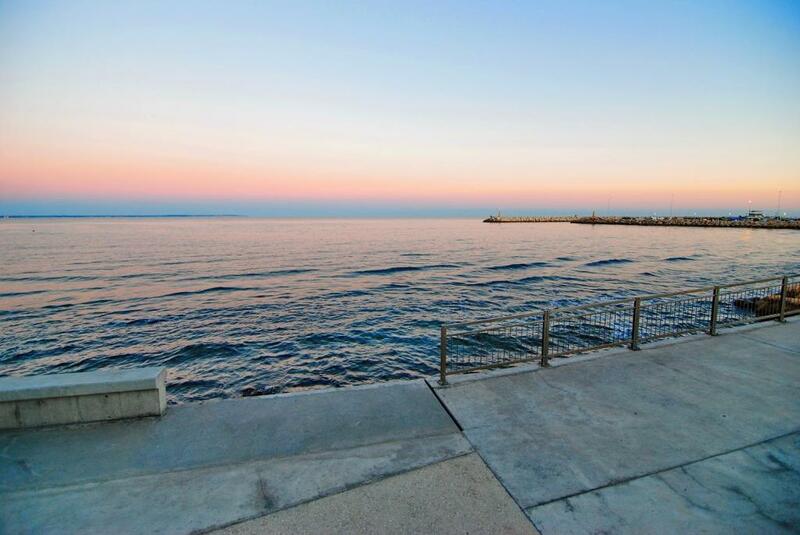 Beautiful sea view, large apartment, close to the Finikoudes and Mckenzie beach. We will come back at this apartment next year. Lock in a great price for Blue View - rated 9 by recent guests. Set in Larnaka, Blue View offers accommodation with free WiFi and a kitchen. The accommodation is air conditioned and has a hot tub. Each unit is fully fitted with a washing machine, a flat-screen TV, a sofa and wardrobe. Some units include a terrace and/or balcony. Popular points of interest near the apartment include Agios Lazaros Byzantine Museum, Saint Lazarus Church and Agios Lazaros Square. Blue View has been welcoming Booking.com guests since 28 Dec 2017. When would you like to stay at Blue View? This apartment has a sofa, electric kettle and oven. This apartment features a sofa, electric kettle and oven. House rules Blue View takes special requests - add in the next step! Please inform Blue View in advance of your expected arrival time. You can use the Special Requests box when booking, or contact the property directly with the contact details provided in your confirmation. There was noise during the early hours as we were close to the seafront, restaurants and bars - we did expect this when we booked and it didn't stop the kids sleeping! We didn't stay for long enough! Lack of microwave oven, which is required nowadays to prepare food for a small child. In February (out of season) the apartment was cold when we arrived, it took a day for the walls to warm a bit.The smell in the building was bad. The floors were pretty dark, and it is not easy to get in and out in the apartmenthouse with only one key. The key(holder) controls the power, so you cannor charge your devices when you are not in the apartment. Communication is a bit poor. Location is excellent. First day there was no wi-fi, and there was a bad smell in the Apartment all stay long. The electricity went out one night and nobody fixed it, and we got no answer, all night we had no heating, no light, couldnt use the kitchen, all next day nothing happened, no one came to fix it. In the other Apartment we booked the electricity went out all the time, many time a day. There is something wrong with the buildings electricity. The walls are wet, there is mold on the wall. This was a nice place earlier but know I dont recommend it. It was very cold, and heating was Inadequate despite asking for repair to the heater. No microwave or toaster. Kettle did not work despite us asking for one that worked. More blankets needed. We asked to clean the apt. During our stay and the cleaner worker refused . Yet there was no tools to clean the floor. Confortable , near the old town and airport. The bed was a nightmare. Cheap ikea stuff. Made an agreement for an early checkin. Took 10 phone calls to find someone to give the keys. A little bit far from the city center, but the walk until the hustle and bustle of the city is actually very pleasant and there are lots of cute restaurants and cafes nearby. The apartment is in a very nice building, new and modern furniture, big terrace. Very close to the Larnaca Salt Lake, takes 15 minutes to walk, also very close to the airport. I recomend this apartment to everyone - it has good location - close to restaurants and beach. And the host is very nice and helpful. There was no shampoo and bath gel to shower with.